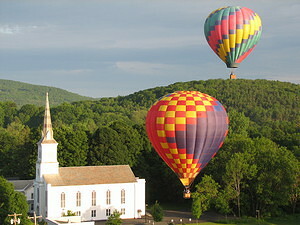 The Cambridge community is gearing up for its Annual Cambridge Valley Balloon Festival, set for Friday through Sunday in and around the beautiful historic Village of Cambridge, NY. 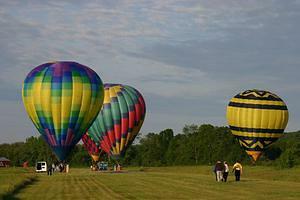 The Cambridge Valley Chamber of Commerce, organizer of the event, is putting together the schedule of activities, which will include four launches of 10 hot air balloons (Friday & Saturday evening and Saturday & Sunday morning). All launches take place at the Cambridge Central School on Route 22 (wind and weather permitting). Evening launches typically occur between 6:30-7:30 p.m.; morning launches between 5:30-6:30 a.m. Between the launches, the Cambridge community throws out the red carpet and provides a myriad of activities to entertain the crowds. Community businesses, through the Chamber, host a fantastic ­fireworks display on Friday evening at the Cambridge Guest Home Park on South Union Street.